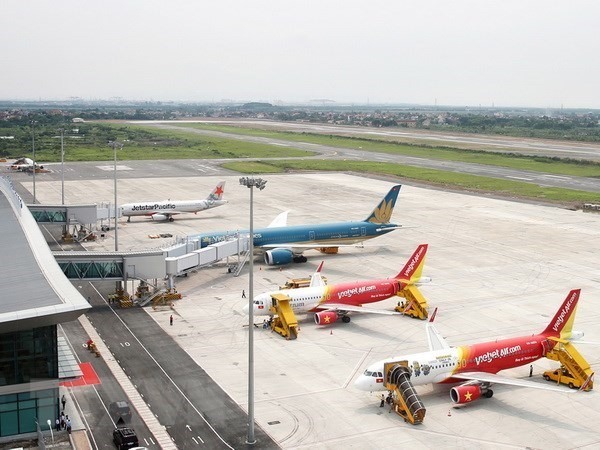 HÀ NỘI — The Airports Corporation of Việt Nam (ACV) is focusing on accelerating investment in key projects at Cát Bi International Airport (Hải Phòng) with a total investment capital of about VNĐ4 trillion (US$170.1 million). These projects include passenger terminal T2, a parking lot in front of the new terminal and a cargo terminal, as well as a number of projects to renovate and expand existing aircraft parking areas. For the T2 construction project, ACV has completed the selection of consultancy contractors for the feasibility study (FS). The winning contractors are preparing architectural plans for the passenger terminal, the FS and basic designs. The terminal will have a capacity of five million passengers per year and be able to expand to 10 million passengers per year. The auxiliary works for the terminal include the synchronous infrastructure system and traffic system to connect with terminal T1. Total investment is around VNĐ1.6 trillion (excluding land clearance costs) and construction is scheduled to complete by the fourth quarter of 2020. ACV is completing the procedures for the approval of expansion projects as regulated. The project of building a cargo terminal and parking lot in front of T2 is in the process of selecting consultant contractors to carry out a feasibility study. According to a representative of ACV, the number of passengers, journeys and cargo through Cát Bi International Airport has exceeded the capacity of its design. Besides, traffic connections between Hải Phòng and neighbouring localities will increase demands in travelling by air in the coming time. Therefore, upgrades and expansions of the airport’s infrastructure are urgently needed. The project to build a parking area in front of the cargo terminal has a total investment of about VNĐ850 billion. The commodity station has a capacity of 100,000 tonnes of cargo per year and it is planned to expand to 250,000 tonnes of cargo per year. The auxiliary works for the terminal and the infrastructure system have a total investment of about VNĐ390 billion. Hải Phòng confirmed the city will focus on leadership, direction and co-ordinating with ACV to ensure progress.